Knowledge is empowering. Arm yourself with the know-how to improve your cycles. Many changes accompany adolescence, and some of them prove problematic for young women. Heavy or painful periods are not unusual in the years following puberty as your reproductive system matures, but resorting to hormonal birth control with its known side effects need not be the only source of relief. 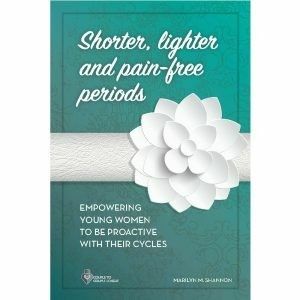 In this booklet packed with practical information, popular nutrition and fertility author Marilyn Shannon details how a more natural approach aimed at providing your body the nutrients it needs can alleviate or eliminate troublesome symptoms, and can empower you to take charge of your reproductive health.